From June 19, Russia is halting all interactions with the US within the framework on the memorandum of incident prevention in Syrian skies, the Russian Defense Ministry said on Monday following the US-led coalition's downing of a Syrian army's jet near Raqqa. "In areas where Russian aviation is conducting combat missions in the Syrian skies, any flying ojects, including jets and unmanned aerial vehicles of the international coalition discovered west of the Euphrates River will be followed by Russian air and ground defenses as air targets," the Russian Defense Ministry announced. "Russian Aerospace Forces' jets were conducting operations in Syrian airspace that time. However, the command of the coalition forces didn't use the existing channel between the air command of the Qatari airbase al Udeid and the [Russian] Hmeymim airbase to avoid incidents over Syria," the ministry said. The ministry added that it "demands a thorough investigation by the US command with the provision of its results and measures taken." "We consider such actions of the US command as an intentional violation of its obligations in the framework of the memo on avoiding incidents and the safety of aviation flights during operations in Syria signed on October 20, 2015." In the beginning of April, the Defense Ministry said following a US' Tomahawk cruise missile attack on a Syrian army's airfield that the Russian air defense combat units in Syria are on duty round-the-clock. The S-400, the S-300 and the Pantsir air defense systems protect the Russian air group at the Hmeymim airfield from the air. 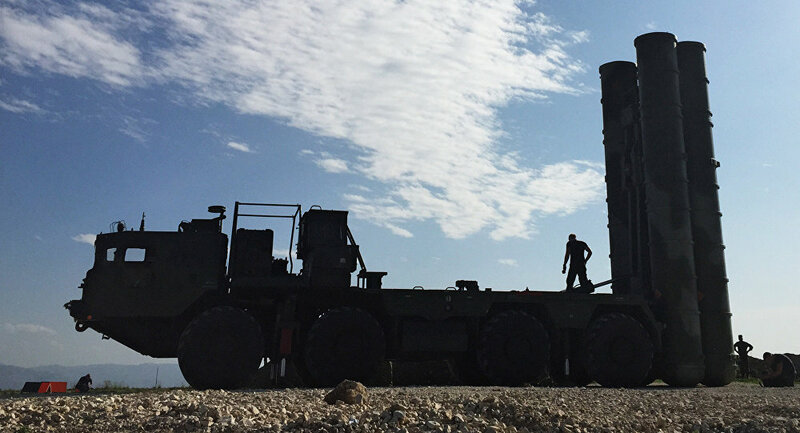 The S-400 system was deployed at the Hmeymim following the Turkish Air Force's November 2015 downing of a Russian Su-24 bomber on the Syrian-Turkish border.